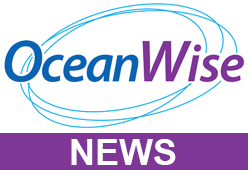 OceanWise > News > Uncategorised > OCEANWISE RECRUITMENT GATHERS PACE! OceanWise, the UK’s leading independent marine data management company is pleased to announce the appointment of James Rapaport as a Senior Information Systems Developer. James joins us from Teledyne Caris, based in New Brunswick, Canada, where he has managed the development of Caris’ web server software (Spatial Fusion Enterprise). He previously worked with the OceanWise team, initially at SeaZone Solutions, then at HR Wallingford in the UK. James is extremely well respected in the geographical information community, having assisted in drafting the ISO 19100 based discovery metadata standard for the UK as well as developing the metadata management tool, Metadata Maestro, for the UK Marine Environmental Data and Information Network (MEDIN). We also welcome both Will Girard, who joins our Customer Service Team as a Business Administration Apprentice, and our second GEBCO sponsored intern, Azmi Rosedee, who has joined us from the University of New Hampshire, USA. Azmi will be spending time with us updating our digital bathymetric database before returning to Malaysia as the new Data Manager in the Hydrographic Office of the Malaysian Navy. We are proud to announce that our first apprentice, George Wright, has commenced his BSc degree course in Digital Technology Solutions at the University of Winchester. We are delighted to sponsor him in his endeavors’ and wish him every success. George will continue to work on technical projects at OceanWise whilst attending classes.